This one is tech nerd heaven. I have had a LOT of fun with this app. But it does make me slightly uneasy. Okay, ALL of these apps use GPS tech to "follow" us around wherever we go. Recording. Mapping. Storing. 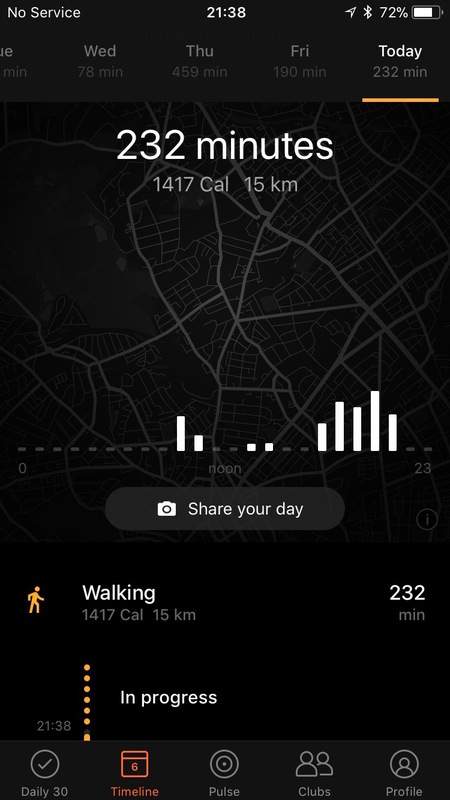 This one presents all those movements with a degree of clarity and ease of access and crisp design that betters any of the other apps I have tested so far. This clarity opened my eyes. Do you really want to have all those movements stored in an eminently lose-able, steal-able or hackable device such as a phone? And then presented in such a clear (and beautifully designed) way? I suddenly felt a little bit Black Mirror about the whole thing. If you have a five-day working routine with a regular commute at its heart, and if you are charting your every move, I'd take care with this one. It keeps a perfect record of when you are in and when you are out. Not ideal. My next thought was that keeping such data is not such a problem for me, in so much as my movements are pretty much different every day. But even then, patterns emerged during the week I used the app. As with all these things, allow common sense to prevail. Human is described as a passive fitness tracking app - it runs all day long and gives you little nudges in the form of alerts to keep you focused on your daily target. At top level, Human eschews the statistical approach - it's not a step counter. Instead, it suggests you aim for 30 active minutes as your initial goal. This minutes-over-steps approach does feel less pressured. The idea is that it fits in to your routines rather than interrupting them. 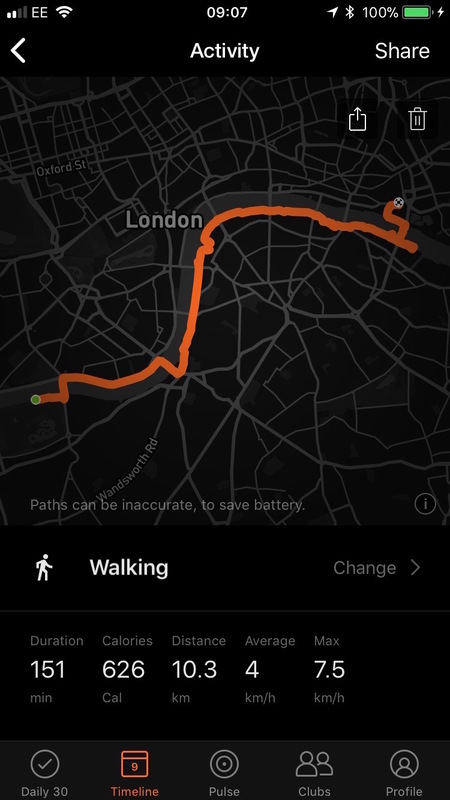 Having said that, stats are available if you want them – distance and calories – on the timeline, a feature that maps your walk in sections according to your movements. 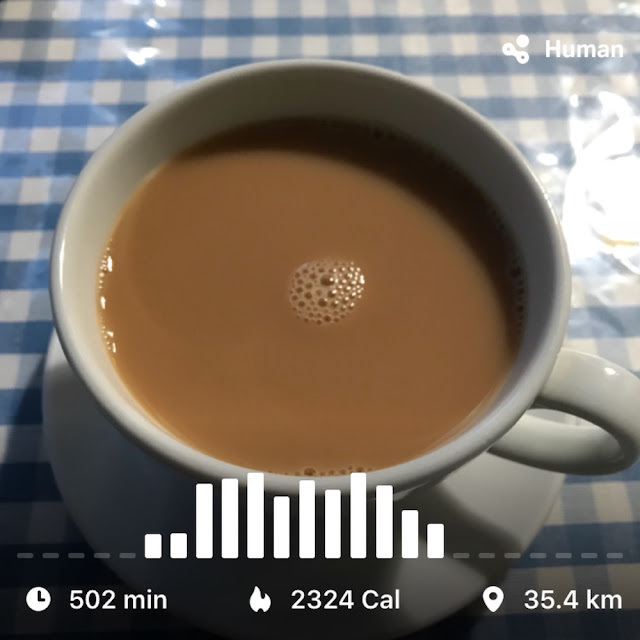 The app also allows you to compare your daily totals with other users in the vicinity – again, a touch Orwellian for my liking, but for those driven with competitive spirit this may be the spur you need on a day when you're finding motivation tough. Such an app is going to be a big time battery guzzler. And in early versions, the negative reviews seemed to concentrate on this very issue. To resolve the problem, Human has the most ingenious solution - a two-tier operating system. The drawback is that maps can be less accurate and the machine will sometimes misread your activities. 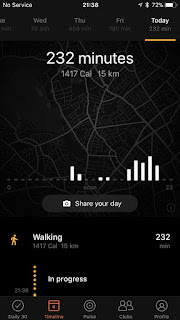 A fast walk, for example, can be recorded as a cycle ride. 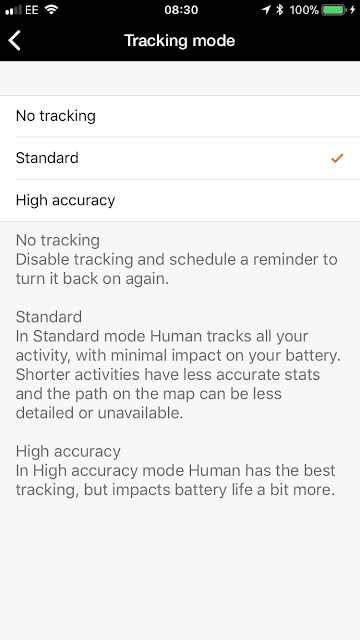 You can opt for maximum tracking accuracy, but that runs the battery down much faster. 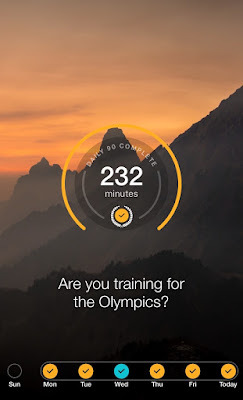 Getting Fit Or Playing On Your Phone? I'm one of those people who like this kind of thing – gadgety toys and apps. But even I paused when I found myself editing a mis-recorded section of my day when reviewing my movements. It's not really the point of the exercise. The point was to be mindful of healthy habits, and here I was replacing one unhealthy habit (not exercising) with another (playing with my phone). It's all about balance, of course, everything in moderation and all that. I did really enjoy using Human. 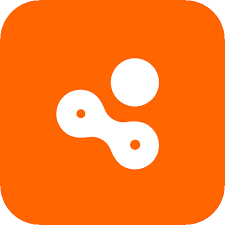 It's a great app – I'm giving it ★★★★ for its combination of design and ease of use. But much of the extra functionality is just stuff I don't really need. Fun while it lasted, tho – and I'll look at novelty value, as well as the potential down-side of fitness trackers in the next post.